Since its launch on the 11th of March, 1996, Mega-Sena has become the most popular lottery in Brazil. The main reason for its success is its large jackpots with a recent 2014 jackpot reaching €84 million — the largest jackpot ever in South and Central America. While this may seem low compared to other jackpots like EuroMillions, the odds of winning the Mega-Sena jackpot are much better. You are more than twice as likely to win the jackpot playing Mega-Sena than you are of winning the EuroMillions jackpot. How much does it cost to play Mega-Sena? Mega-Sena only costs £1.50 to play, exactly half the price of a EuroMillions ticket. You can also play additional numbers, as referenced in the table below. How do you play Mega-Sena? Playing Mega-Sena is easy – just pick six numbers ranging from 01 to 60. You can also opt to play more numbers, up to 15 in total, if you wish. This costs more but also increases your chance of winning. There are three prize tiers in total. Match four numbers to win the lowest prize tier, the “Quadra”, match five to win the second prize, the “Quina”. Match all six numbers to hit the jackpot, or “Sena”. How do I fill in my Mega-Sena ticket at Lottoland? You must choose a minimum of 6 numbers from the 60 available inside the ticket area. To pick your numbers manually just click on the corresponding boxes inside the ticket area. At the top of the ticket you will see a counter telling you how many numbers you have left to pick. If you select more than six numbers you will automatically activate what’s known as a ‘Combo’, or system bet. This will allow for all possible combinations using the numbers you pick. What are the odds of winning Mega-Sena? * The rest of the prize pool goes to funding Mega da Virada and other special draws. How much can I win playing Mega-Sena? 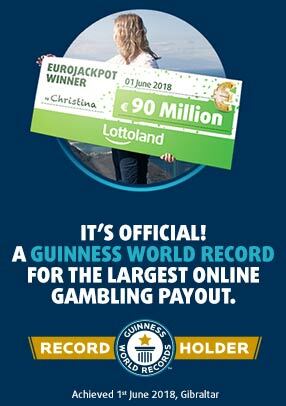 The minimum jackpot is approximately €963,000, which, if not won, rolls over to the next draw. Unlike European lotteries there is no jackpot cap, so it can in theory keep rolling over infinitely until it is won. The highest jackpot to date is just over €84 million which was won in the 2014 New Years “Mega da Virada” draw. What is the biggest Mega-Sena Jackpot of all time? The largest Mega-Sena grand prize on record was R$ 135,315.118.96, approximately €40 million. The largest Mega da Virada pay out was R$ 263,295,552.66, approximately €78 million. When are the Mega-Sena Draws? Mega-Sena draws take place on Wednesdays and Saturdays at approximately 8pm Brasilia time or about 10pm UK time. Draws are open to the public and take place either in a TV studio or in the Caminhão da Sorte (‘Luck Truck’). For each draw the Luck Truck travels to one of the 27 state capitals in Brazil and parks in a public space. People are then given opportunity to participate actively in the draws itself by launching the draw drum and auditing the results for maximum fairness and transparency. Each draw is also broadcasted on national television. Why should I buy Mega-Sena bets online from Lottoland? Lottoland is the only place where you can find all of the fun of Brazil’s biggest lottery online without the thing which Mega-Sena is also famous for – long lines of people waiting to buy their tickets. Play Mega-Sena from the comfort of home or one the go from your smart phone, enjoy exclusive promotions and never lose a ticket or miss a big draw again!